Is Sandy Alderson Assembling an All-Star Front Office? First, a quick recap of the recent Dave Eiland–related news and rumors: On Saturday, ESPN New York reported that Joe Girardi and Eiland had a falling-out this year, and that Eiland felt that his opinions were de-emphasized when he returned following his leave of absence. Then yesterday, Eiland, as well as other sources, said otherwise. Eiland called it "ridiculous and not true," and a Yankees official said it was "so wrong it's embarrassing." Which brings us to Murray Chass. The dismissal, as it turns out, stemmed from the 25-day leave of absence Eiland was granted in June. Neither the coach nor the Yankees said why Eiland took the leave other than to say it was to take care of a personal matter. 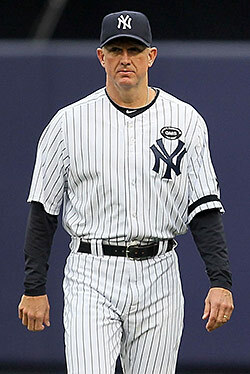 The matter was serious enough that the Yankees told him he could return to his job as long as he didn't resume any of the activities that led to his leave of absence. He didn't adhere to the agreement and was fired. No one has spelled out those activities, and I will refrain from speculating. So now you know, even if Chass doesn't say where this information comes from. (In fact, you also now know something about Eiland's leave of absence, in that it apparently involved "activities" he needed to stop doing.) Incidentally, the organization's off-season meetings begin today in Tampa, and hitting coach Kevin Long has signed a new three-year deal.